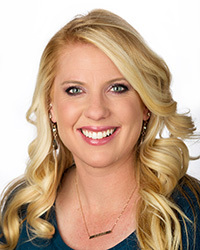 Dr. Kristin Anderson graduated with her BS in Kinesiology with emphasis in Clinical Exercise from California State University Fullerton in 2007 and went on to complete her Doctor of Physical Therapy from the University of Colorado, Anschutz Medical Campus in Denver in 2011. Dr. Anderson has worked as a physical therapist in the areas of sports and orthopedics since 2011 and has been involved with high school, collegiate, and professional athletics. She now works with the clinical education team at the University of St Augustine to coordinate student clinical internships as well as teach Physical Therapy Practice courses. Dr. Anderson is currently a member of the American Physical Therapy Association and its California chapter.